For over 25 years, York Metal Products has been supplying superior products to the confectionery, food and pharmaceutical industries in North America. 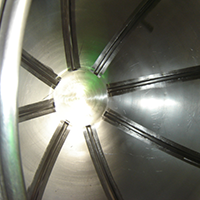 Exceptional quality and service for metal spinning and related metal fabrications are what we do best. 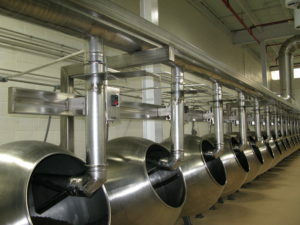 Our coating pans, bowls and machines are designed to maximize durability, capacity and efficiency. Our candy coating pans and machines have been used by some of the premier confectionary manufacturers to coat a variety of products such as soft and hard candies, chocolate and yogurt coated nuts and raisins, and more. We also provide coating pans and machines to the pharmaceutical industry for the coating of pills and tablets. Our machines have evolved over the years and have integrated the feedback and experience of our customers to allow us to provide a product that is fully customizable. All bowls, pans and trays are fabricated out of food grade stainless steel and polished to a #4 finish. CAD advanced production methods assist us in making the product customers want at a competitive price and lead-time.